Location does matter. And if it matters to you, you will love this art-filled rental home. 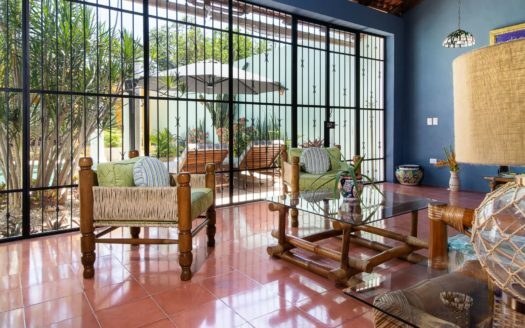 It is located on a quiet side street just a block off the Paseo de Montejo. Stroll along Montejo in the mornings to your favorite coffee shop or for grocery shopping. In the evening return for drinks or dinner. The home is only four blocks from Santa Ana which means convenience to galleries, mercados, restaurants and artisan shops. 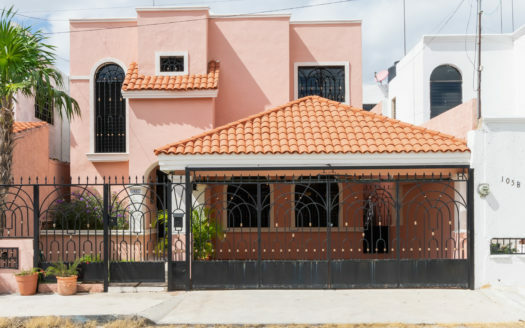 This comfortable four bedroom/four bathroom home is equipped with everything necessary to enjoy your vacation in Merida. 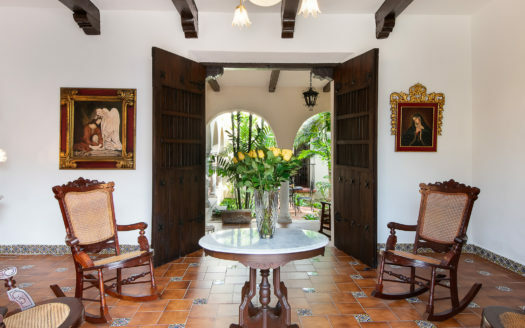 The home is beautifully decorated with original Mexican folk art. 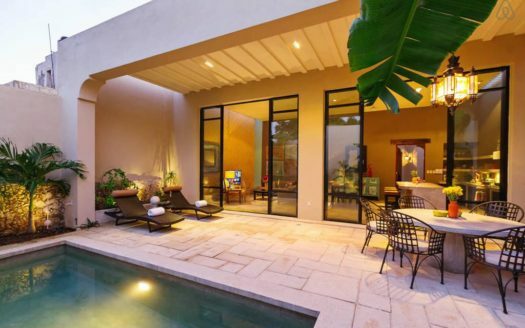 Surrounded by beauty, you’ll be reminded each day that you are finally living out your Mexican fantasy. Cable TV, wi-fi, washing machine, weekly maid and pool service.